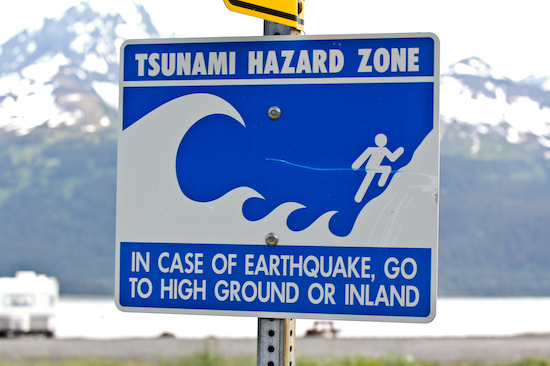 This was a new sign for me when I saw it strolling around town in Seward, Alaska. Good thing Seward is backed by Mount Marathon - a 3022 foot (921 meter) uprising that locals (and people from all over the world) come to race up and down its face every July 4th. Running a little ways up that should get you out of harms way.